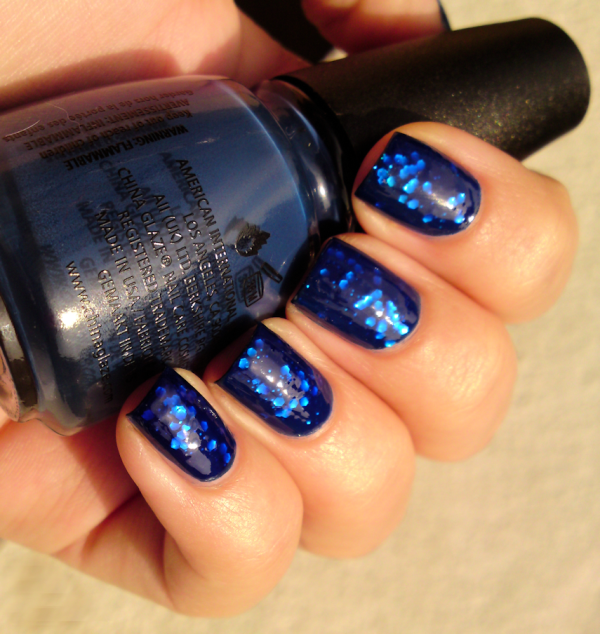 Fashion Polish: Guest Post : Ivana from Ivana Thinks Pink sings the blues with a gorgeous sandwich mani! 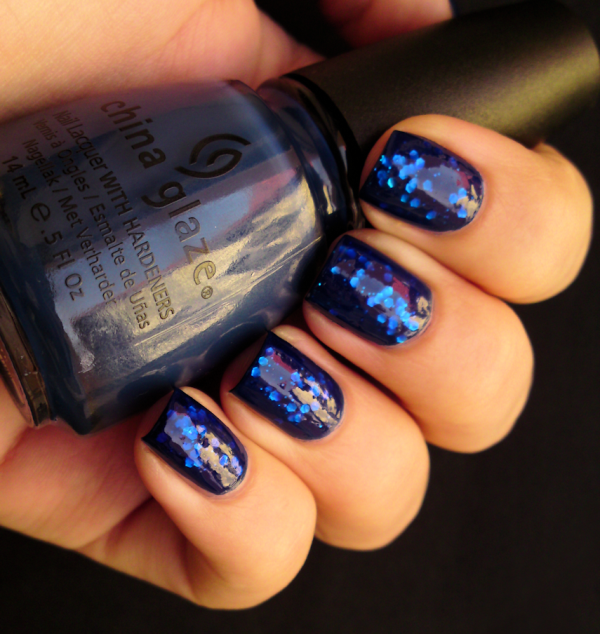 Guest Post : Ivana from Ivana Thinks Pink sings the blues with a gorgeous sandwich mani! I hope all of you already know Ivana because she's an amazing blogger with amazing pictures? If you don't, now's your chance, she has created a beautiful look for us! I really had no idea what to do for her guest post. She - and probably all of you expected a pink manicure from me, but I decided to make something blue. :P Sam really makes some amazing layering combos that's why I decided to make something similar. I'm in love with polish sandwiches lately, so I decided to make a glitter sandwich. Well these were beautiful swatches, weren't they? Ivana your painting skills are amazing, I love your blog! To visit Ivana Thinks Pink, you can either follow the link or click on the image below. Thank you for visiting girls! Wonderful, what a great combination! WOW! This is amazing! Love the blue and the the glitter underneath! Love this ladies, so different from your usual pink Ivana! Thankyou for sharing Sam. This looks great, blue is one of my favorite nail polish colors. And I love your nails! Ivana has such gorgeous nails! Lovely combo <3. Gorgeous, love the depth to the mani! Oh, nice blue! Reminds me of Sapphires! LOVE LOVE LOVE Ivana, looks amazing on you! I loved the combination, congratulations Ivana! I love sandwiches - and this shows you don't have to always have jellies only. Starting with First Mate was brilliant and anything else darker would have make this not pop like it does. I am seeing something I like better than Lady Sings The Blues! Really great Ivana - and also thanks for acknowledging you think pink this Wen. I am a now 2X BC survivor.